Social Media & Graphics is the topic for the 2nd session of the Social Media & Libraries series being held at SALS in Saratoga Springs, NY on Wednesday September 28, 206. The workshops are sponsored by CDLC, MVLS, SALS and UHLS. 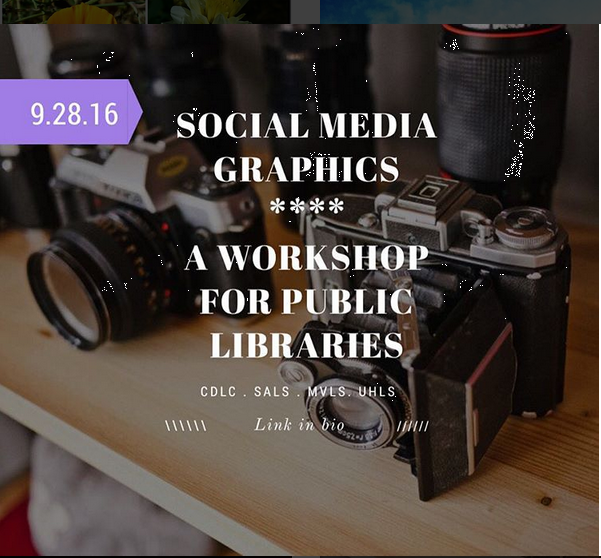 More information and resource pages for the workshop can be found on the Social Media Workshop page.